Sean MacDonald's recent article about testing the Bosch Motorcycle Stability Control system on the new Ducati Multistrada attracted some spirited discussion. Not surprisingly, some people love this new technology because they consider it another way to increase their odds for survival in the unpredictable environment of riding a motorcycle on the street. Things happen. Whether it's the wet manhole cover on a city street that you didn't see in the darkness of your winter commute home, or the unexpected water flowing across your favorite canyon road, there are thousands of potential scenarios that can lead to an unexpected loss of traction. Equally unsurprising is the reaction of others who feel uncomfortable relying on these safety nets. Some just don't trust anyone or anything but their own right wrists. Others feel riders won't learn the survival skills and will just rely on an electronic nanny to save their hides. I'm not going to wade into that argument. It's as much about individual personal philosophy as it is about what's "right" and "wrong." My personal position leans more in favor of embracing these technologies than rejecting them, but I'm no absolutist on the matter. What I think is far more important is understanding the basis of these rider aids — before you make a decision to turn off the traction control or ABS on the new bike you just bought, or before you make a decision to buy or not to buy a given motorcycle because it does or doesn't have ABS or some other rider aid. What makes the MSC system Sean tested (and the similar Continental system) so significant, in my mind, is linking the ABS to lean angle. An ordinary motorcycle ABS will work perfectly well if you need to stop right now and the motorcycle is vertical. Just grab all the brakes you can and the ABS will provide the maximum stopping power given the available traction. If the system senses wheel lockup, it will react instantly. But what if you're leaned over? Then, the calculations get much more complicated. 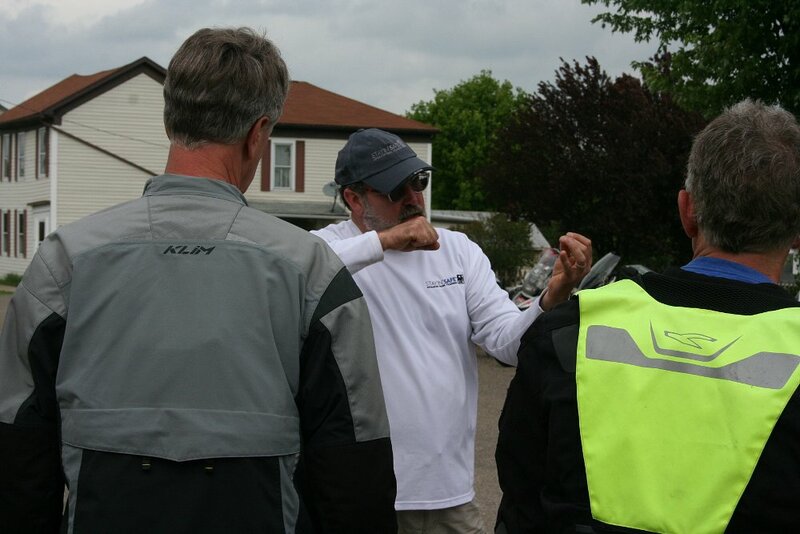 Here's the way instructors have been explaining it to new riders and up-and-coming kid racers for decades. Imagine your front tire has a dollar's worth of traction. At any given moment, you can spend 75 cents on braking and 25 cents on cornering, or 40 cents on braking and 60 cents on cornering, but you can't spend 85 cents on braking and 16 cents on cornering. The more you spend on one, the less you have to spend on the other, and there's a heavy penalty for overdrafts. If the motorcycle is vertical, an ordinary ABS system works fine because a full dollar's worth of traction is available for braking. ABS keeps you on the verge of lockup and you stop as quickly as possible. If you are leaned over, going too fast around a canyon corner, only to find boulders across the road in front of you, and you panic brake, your ABS will try to spend a dollar's worth of traction for stopping. But you don't have a dollar, because you're already spending some on cornering. Down you go. I realize most RevZilla readers are fairly experienced riders who, either through training or reading or simply riding experience, already understand the concept of balancing braking and cornering forces. But visualizing it is a good reminder for those who already know it, and vital information for those still learning. There is rarely any forgiveness of overdraft fees on your front tire's traction. This entire discussion easily leads into more advanced topics. In recent years, trail braking has been a hot topic in circles where the art and science of riding a high-performance motorcycle are dissected in detail. The curriculum at the Yamaha Champions School, for example, extolled trail braking. Others raised questions. Sometimes the "controversy" is mostly manufactured. Not everyone even defines the term the same way. Most people think of trail braking as any continuance of brake pressure after the motorcycle has begun its lean into the corner. 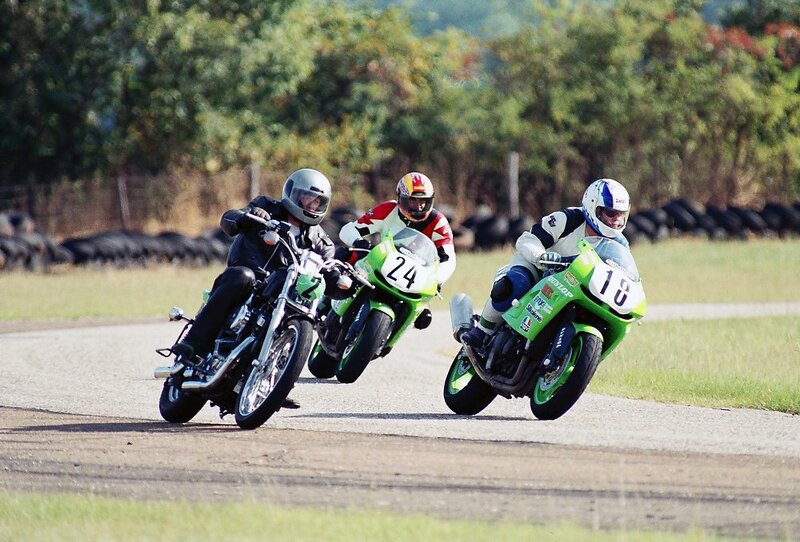 On the other hand, Keith Code defines trail braking as the gradual reduction of pressure on the brake lever, regardless of the motorcycle's orientation. That should happen every time the motorcycle slows down. Code is more nuanced about when braking should be used while the bike is leaned over. But saying "Nick Ienatsch is for trail braking and Keith Code is against it" is to reduce a complex discussion to a useless distortion. What is clear is that as MSC systems evolve and come down in price, they will bring the safety of ABS not just to those moments when the motorcycle is vertical, but also to all those times when we are trail braking (in the common sense of the term: continuing braking after initiating a turn). Trail braking is such a part of my riding skill set that it would be hard for me to unlearn it, even if it were shown to cause instant cancer and early senility. At the same time, anyone who has ever accidentally locked the front tire in the rain while even slightly leaned over knows how it feels like you don't just fall to the ground, but rather like you are thrown down at unnatural speed by the hand of some vengeful god. So in anything less than perfect traction situations, I tiptoe around with my trail braking. And with sand, gravel, oil and other threats always possible, that uncertain traction isn't always seen or detected in time. No system we have today or can imagine today (never say "never") can prevent all crashes with a single-track vehicle that is incapable of standing up on its own. But I think the emerging MSC systems that incorporate lean angle into the complex equation of keeping our wheels spinning in the right direction are an incredibly significant step forward. That's because they not only protect the new rider, but they also help the skilled rider continue to ride in a swift and skillful way, with just that extra margin for the inevitable times when the ride doesn't go to plan.